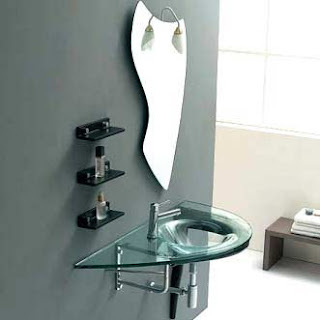 This ultra modern looking vanity utilizes several materials to achieve that custom look. 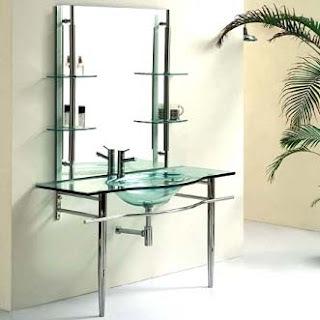 This vanity comes complete with one piece table top and 2 sinks made of 1 piece undestructable tempered glass. 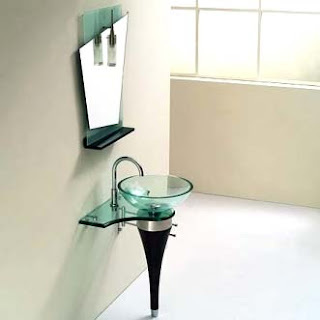 Blanda Glass Vanity`s base is made from a bright polished steel. In addition, this vanity comes complete with oak (painted) shelving. 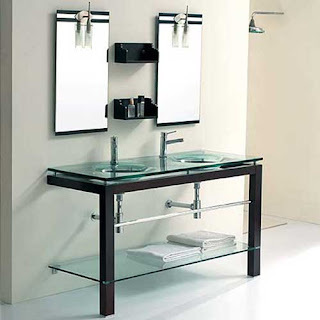 In addition, this vanity comes with extra wide mirror and attached lighting as well as glass shelving. 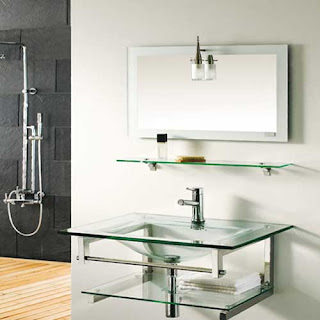 This sleek modern vanity’s design is sure to impress with its euro design as well as the intelligent uses of materials such as the tempered glass table top and glass vessel, sitting atop a hard oak stand, as well as the polished steel accents such as the swinging towel racks.